U.S. Road Trip – The Lincoln Highway! | Am I Nearly There Yet? U.S. Road Trip – The Lincoln Highway! As far as important figures in American history go, the name of Abraham Lincoln would sit pretty high on the list. Yet the nation’s first intercontinental road, which was named in his honour, all but slipped from public consciousness just 13 years after it was built due to the numbered highway system which was introduced in 1926. However, approximately 80% of the 3,000-mile-long road that links Times Square in New York with the Panama Pacific International in San Francisco still exists. And following the centenary anniversary in 2013, interest in the highway and its seemingly endless number of roadside attractions has piqued once again. 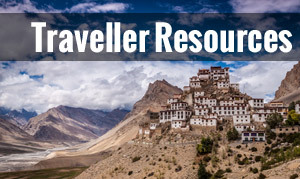 So in order to help you make the most of what this stretch of road has to offer, we’ve provided a road trip guide to three of its must-visit sections! This part of the Lincoln Highway totals around 170 miles and combines poignant and eccentric pit stops with breath-taking rural scenery. From York, take the U.S. Route 30 towards Gettysburg, the location of the most famous battlefield of the Civil War. Continuing along Route 30 travelling west, you’ll reach the Michaux State Forest, home to one of the Lincoln Road’s most curious attractions. We are referring to Mister Ed’s Elephant Museum, which on top of its spectacular gardens and home-made candy emporium, houses over 12,000 elephant figurines. Not something you come across every day! Once you’ve satisfied your sweet tooth and grabbed an elephant souvenir for that special someone in your life, jump back in the car and carry on west, taking in the gorgeous views offered up by a drive over the Allegheny Mountains. Follow your nose and you will pass through Breezewood and on to Bedford. 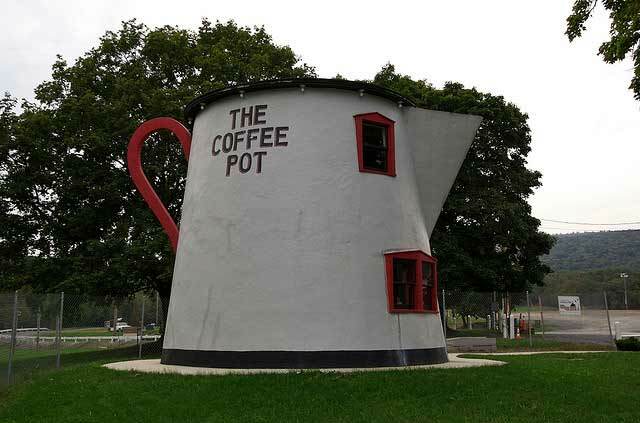 Here you will find The Coffee Pot, a restored roadside eatery in the shape of a giant coffee pot. This is the first of three Roadside Giants of the Lincoln Highway en route. Continue along Route 30 for around half an hour and you’ll see sign posts to the Flight 93 National Memorial Museum, built on the crash site of United Airlines 93. A reflective point of the journey and an opportunity to pay your respects to those killed in the September 11 terrorist attacks. The final stretch of this section of The Lincoln Highway – from Bedford to Latrobe – is approximately an hour’s drive and includes a number of intriguing attractions along Route 30. Amongst these are two more of the Highway’s Roadside Giants; The Bicycle Built for Two and the 22’ high Gas Pump. And whilst in Latrobe, be sure to check out the Lincoln Highway Experience museum that is located in the city. Just south of Cheyenne, close to the Wyoming/Colorado border, is the location of the Terry Bison Ranch which presents a good spot to start this suggested road trip. 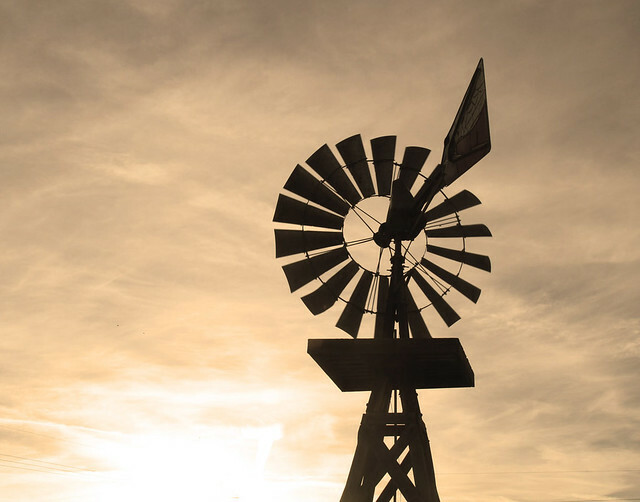 Perfect for the whole family, the ranch hosts a wide range of activities including horse riding, a mini-train ride for the little ones, as well as herds of camels, emus and IIamas. From Cheyenne, jump onto the I-80 and head west until you reach Sherman Summit on the crest of the Laramie Mountains. This is the highest point on the Lincoln Highways and is a great spot to park the car, stretch your legs and take in the magnificent vistas. A monument built by Wyoming’s Parks Commission to commemorate Abraham Lincoln’s 150th birthday is located close by and must be snapped on your phone or camera. Continue west onto Laramie, where you can go behind bars at the Territorial Prison which was built in the 1870s. If you happen to be visiting during October, you may be fortunate enough to catch a ghost tour of the city that starts at the prison. 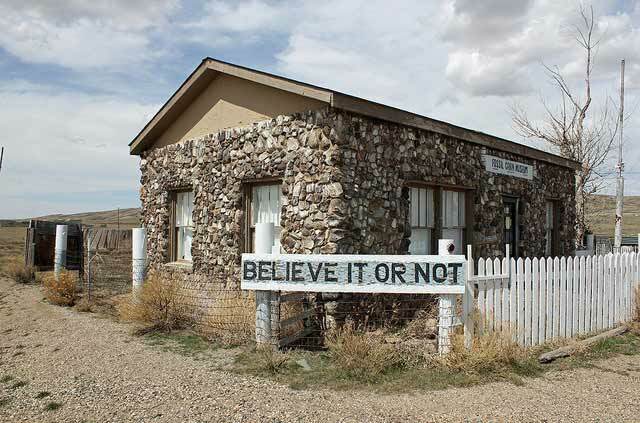 Drive further west along Route 287 and you’ll pass through Medicine Bow, before heading through Hanna, Coyote Springs and Fort Steele on your way to Rawlins. 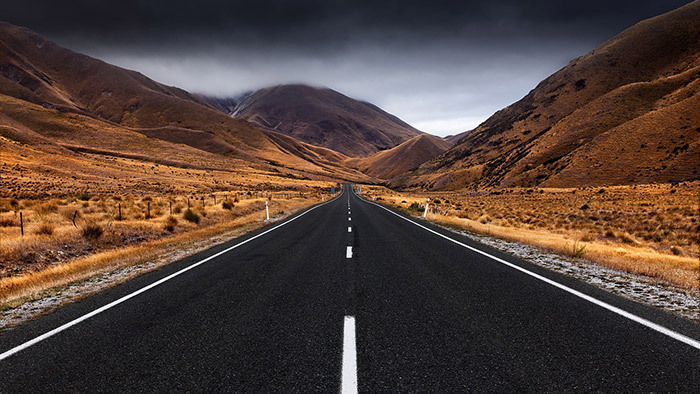 Be sure to keep your eyes on the road though, as this last stretch of the journey encompasses a drive through some truly breath-taking scenery which could be very distracting for whoever’s driving. Of the three drives featured this is the longest and is the one that perhaps provides an experience as close to what the Highway would have been like in 1913. 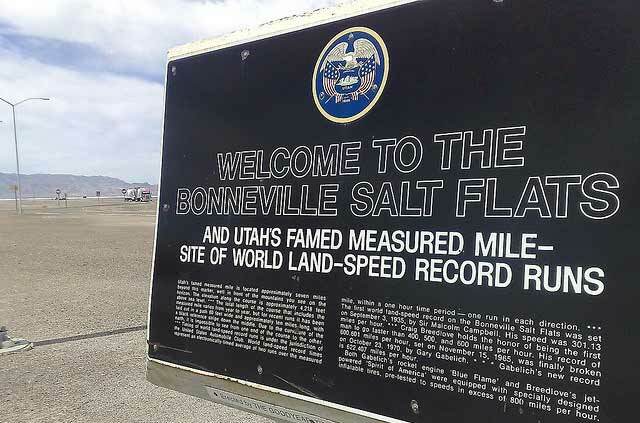 From Tooele, head towards Interstate 80 and then travel west through the vast, barren yet beautiful landscape of the Bonneville Salt Flats (the scene of numerous broken land speed records) and the Great Salt Lake Desert until you reach Wendover. Wendover itself boasts a number of top-class hotels and casinos, so is an ideal spot if you’re considering a stopover at this point on your journey. From Westover, take the Route 93 Alternate and head south to Ely. Fish Springs National Wildlife Refuge is well worth a visit, although getting there requires taking a big detour off Route 93 and then negotiating dusty desert roads. Once you reach Ely, another overnight stop is recommended. Like Wendover, it is home to a great selection of casinos and hotels. 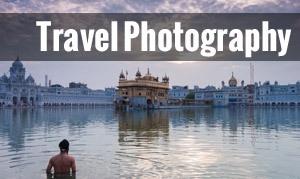 However, if your tastes are slightly more on the refined side you can take in some culture too at the Nevada Northern Railway Museum and Ward Charcoal Ovens State Historic Park, both close to Ely. After a good night’s sleep, you should be refreshed and ready to tackle ‘the Loneliest Road in America’ – Interstate U.S. 50. This part of the Lincoln Highway to Reno earns that name by intersecting over 317 miles of open country and several mountain passes that total over 7,500 feet. 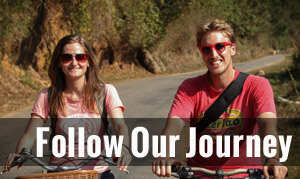 Make sure you are well stocked up for the journey though, as there are fewer stops along this stretch of road! If you have an accident behind the wheel of your rental car – and you are not covered by your personal auto insurance or credit card – you may be liable for the full cost of damage. Depending on the extent of the damage, this could be thousands of dollars. However, buying a CDW/LDW from your rental company is usually a lot more expensive than purchasing similar cover from a standalone provider like iCarhireinsurance.com before you set off on vacation. Click here for more information on buying CDW/LDW cover for as little as $8.59* a day, or $114.49* annually.. Make sure you’re well covered!